Alice Springs is known for wildlife, museums, historic sites, nature, and parks. 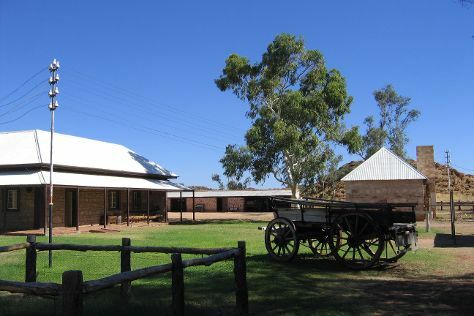 Your plan includes some of its best attractions: steep yourself in history at Alice Springs Telegraph Station Historical Reserve, relax in the rural setting at Camels Australia, look for all kinds of wild species at Alice Springs Reptile Centre, and take in the awesome beauty at Mount Gillen. To see photos, ratings, where to stay, and tourist information, use the Alice Springs trip planner . In April, daily temperatures in Alice Springs can reach 34°C, while at night they dip to 15°C. Finish your sightseeing early on the 22nd (Mon) to allow enough time to travel back home.